We are often asked to manage Hospitality projects for many different leading companies and institutions. From automotive events to official governmental ceremonies. Flexibility and reliability are part of our core business. We would be honoured to write about your event soon! 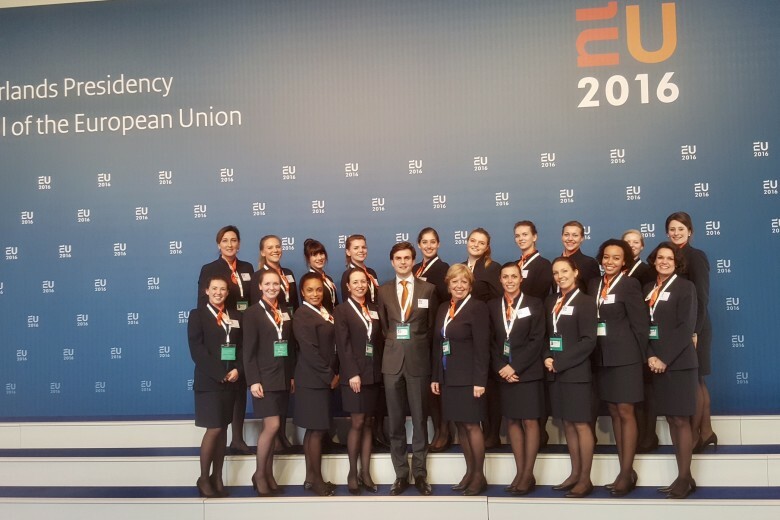 As a hospitality partner of the EU2016 Central Project Organization of the Ministry of Foreign Affairs, Kronenburg was responsible for overall coordination, recruitment, selection, training, protocol training and deployment of a team of 85 Hosts & Hostesses and Delegation Liaison Officers. National and international dignitaries were welcomed and guided during more than 150 formal and informal councils and meetings. The client: "We have received a lot of compliments from both the Netherlands and abroad, as well as all host and hostesses who accompanied the guests in a very professional and well-mannered way. The Netherlands has issued a beautiful business card. Thank you again for your highly appreciated support. " For Jacobs Douwe Egberts, at BtoB and consumer trade shows and events, Kronenburg always provides an appealing, enthusiastic and driven team of hosts, hostesses and runners. Because each fair and event has a very own profile of visitors, it is up to us to always take into account the composition of the team so that not only the profile but also the appearance and style of the team are in line with the theme of the relevant fair or event. So it's a big difference whether we go to a BtoB fair or work at a festival. Varied from business formal to fresh and hip but always we provide a team with a high and professional service level! The client: "Another good team matched the character of the fair. Nice boys and girls, we are happy to see them all at the next edition!" 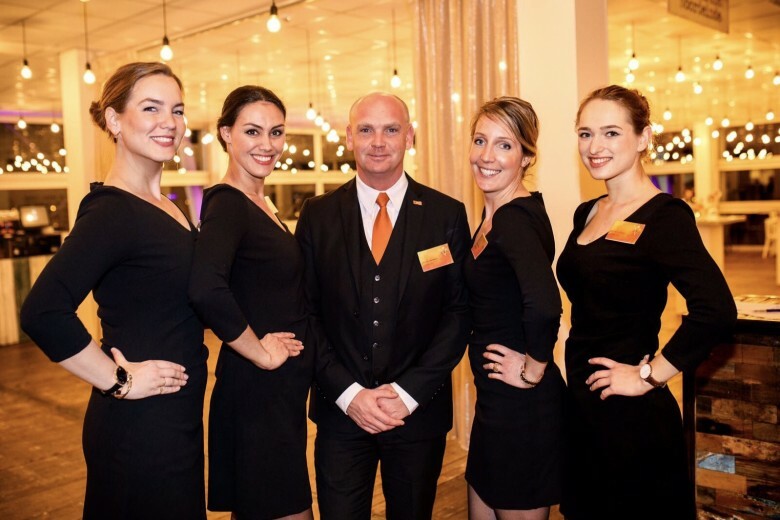 At the same time at various event venues in the Netherlands, provide a representative reception & registration team in support of the local event teams, this was the assignment we received. The events took place at locations spread throughout the country. From Groningen to Maastricht and from Arnhem to Rotterdam. 44 Hosts and Hostesses were deployed to receive, register and refer to the participants at the various locations. The result; a flawless course of the day. Staying within budget and also designing a complex logistics plan for employees, clothing & transportation made this assignment not only super national but also very versatile! The Client: "My colleagues were all very happy with their local teams. And you were also a great help to me, luckily you were so flexible during the event preparation!" To introduce the new bike policy in Scheveningen and the inner city of The Hague, Kronenburg was asked to compile an enthusiastic Promotion Team to alert residents and visitors of Scheveningen and The Hague to the free possibilties to park bikes. Kronenburg took care of the planning, logistics and evaluation. Dressed in sporty body warmers, at the busy times in the city, on the seafront and during shopping evenings, passers and cyclists were proactively and kindly approached by our Promotion Team. Promotional material was distributed, questions answered and more than 100,000 bicycle hangers, bikeys, saddle cases and bottles of water were distributed. The commissioner: "It works! The bike stations are full now. Really well done, thank you for your dedication and enthusiasm!" As a hospitality and organization partner, Kronenburg, in addition to providing delegation liaison officers, hosts, hostesses, hotel and airport coordinators, was also responsible for logistics, registration, contact with hotels, European senates, embassies, and drawing up the script. 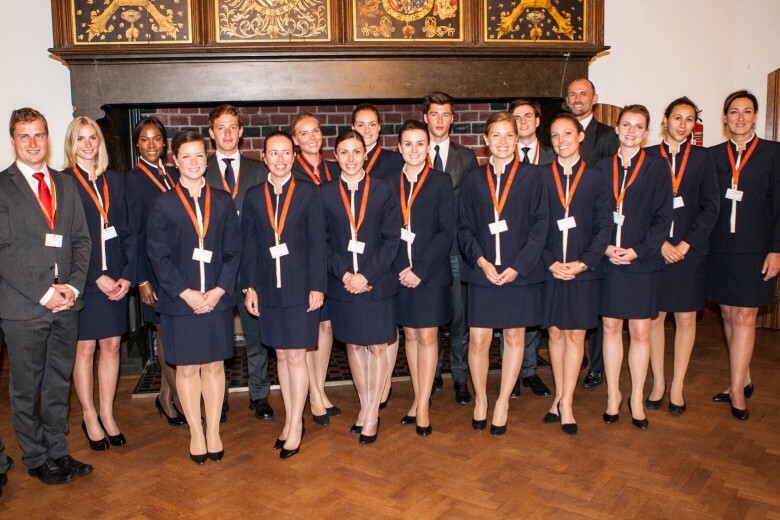 To ensure the flawless reception and guidance of the 15 European delegations in the First Chamber, Ridderzaal and Mauritshuis, language skills, experience in the field of protocol and guidance of national and international dignitaries were the starting point for the selection of Liaison Officers. Training and information provision, both general and delegation specific, played an important role in team preparation and a perfect performance on the day of reception and conference. Each year Kronenburg provides a balanced team of more than 20 hosts and hostesses under the leadership of 2 experienced team leaders. 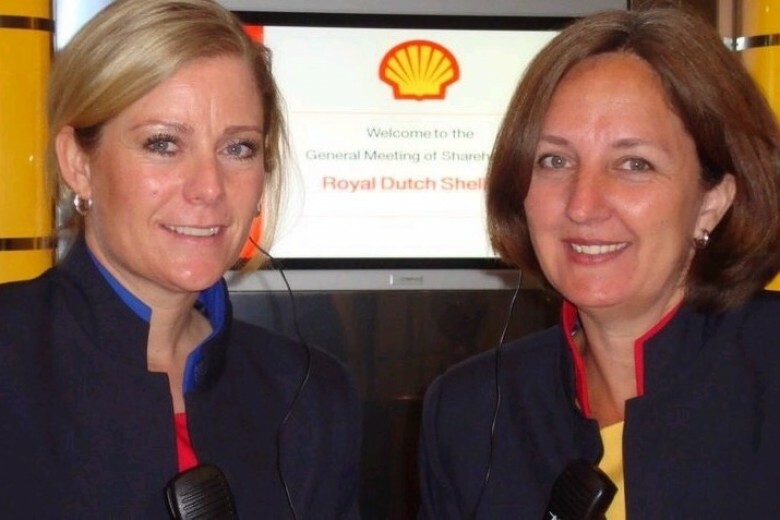 They are responsible for receiving and supervising the shareholders, opening doors and distributing headsets, assisting with the correct placement, conducting the voting procedure and recording the questions which arise during the meeting. The team always consists of a combination of experienced recognizable faces and new team members. A detailed briefing, extensive roadmap and on-the-spot training ensure the correct preparation for the work and the oiled progress of the meeting. Our client: "Interested, friendly and helpful. As always a good team. Our compliments!" 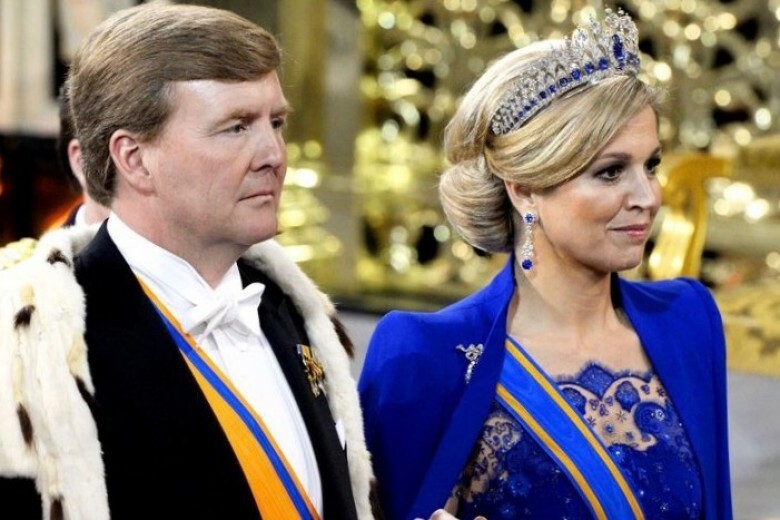 As part of the Project Team of the Ministry of Foreign Affairs, Kronenburg was responsible for coordinating the 220 hosts and hostesses during the Nuclear Security Summit. Our assignment: Writing a hospitality master plan. Recruitment & Selection, and giving several specific trainings to the team. Layout, planning, information and communication with regard to (individual) tasks. Ensuring uniform clothing. Coordination and management on location. Result: From a blank sheet of paper something has been built, the whole world has passed and experienced a highly motivated and service minded Hospitality team, uniform in appearance. 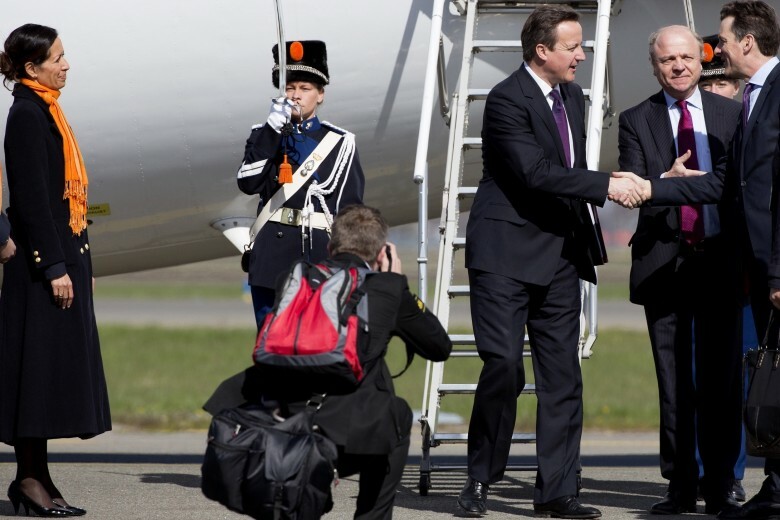 Very professional Dutch hospitality a very satisfied client! 55 Kronenburg Hosts and Hostesses have, on behalf of the First Chamber of the States General, taken care of the reception, guidance and placement of the 2,000 invitees (members of the First and Second Chamber, the Council of Ministers, Ministers of State, Representatives of Governments / Ambassadors and Foreign Royal invitees) during the inaugural ceremony of the King in the New Church in Amsterdam. 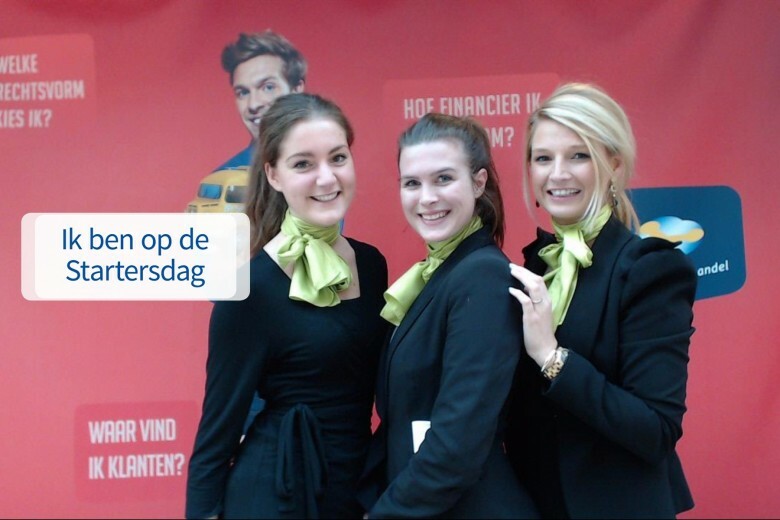 In the run-up to April 30, Kronenburg put together a very professional team with great care. Prior to the assignment, the team was informed, in sub teams, about the specific tasks and prepared the placement and personal guidance of the various invitees. Both accreditation and logistics played an important part in this assignment. As a formal thank you for our contribution, a Royal Decree was awarded, a inaugural medal for the entire team. A true crown! A permanent team of approximately 15 hostesses and hosts (including team leader) daily provide the VIP reception and guidance of business guests visiting the musical Soldier of Orange. The longest running musical production in the Netherlands. The custom-made arrangements make each reception unique and ensure the hosts and hostesses make a flawless course of the evening. From ticket plus to dinner arrangements, if desired with a backstage tour, every evening is equally special. The client: Thanks to you, the special production has been fantastic to the smallest details! The team has received the guests, celebs, press cast & crew wonderfully! Great supervision. Needless to say they were the best. You may be proud, I can tell you I am!